Home and Gardening With Liz: Dining With Our Nesting Friends On A Beautiful Spring Day! Dining With Our Nesting Friends On A Beautiful Spring Day! I created a centerpiece arrangement using the sunflowers that were sent to us from our son and daughter in-law for our anniversary. Aren't these beautiful! They've really opened up nicely over the past few days. I like the cobalt blue vase with the sunflowers since they're so tall it works perfectly for them. I added one of my little cachepots I picked up in Pennsylvania at a garden center a while back. 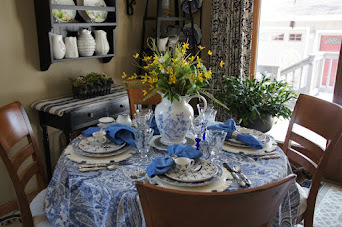 The little creamer is a Polish Pottery piece and seemed to work well with the blue and yellow theme. I love the raised flowers and vines. I remember they also came in a blue flower too and I had a hard time deciding which color to choose! I saved a couple of birds nests last year and I used one to stage the blue birds in. I'm continuing on my bird theme that I started and posted about "here"
I used the tea already so I couldn't add it to the tablescape. Wasn't that sweet of her to send me! I love the pretty hand made note card she made with a sweet message! Makes a person feel extra special to receive things like this! Aren't they precious! The mister brought his missy some pretty flowers and laced them into the nest to flower her with romance! Thank you again Michele for your generosity! I hope you like how I used them! I added the rose tone napkins to tie into the cachepot and I used the yellow and white paisley tablecloth to compliment the yellow plates and sunflowers. We had some early morning sun before clouds came in and soon it will be raining. We need it so that's okay. I folded the napkin in half, then I made it into a narrow strip with a couple of more folds and placed it under the salad plate. Then I turned the ends in towards the plate. With this small (42") table it can be hard to fit everything on there without it being too crowded. I was glad I had these yellow plates that create the feeling of a square corner and go well with the blue and white bird dishes. Thank you for joining as we are dining along with our nesting friends on a beautiful spring day! Your tablescape is gorgeous and I so agree that the yellow sunflowers combined with the cobalt blue vase makes for a picture perfect arrangement. Truly this looks like it is straight out of a magazine. Stunning! How thoughtful of your son and daughter-in-law, what a dear family you have. Blessings for a beautiful rest of the week. I am quite smitten with your yellow tablecloth, dear friend! The choice of white, yellow and blue plates is gorgeous! Sunflowers in a tall cobalt blue vase. . .be still, my heart! The blue birds in the nest add such sweetness and a touch of romance! I agree, the gift was precious! Beautiful table Liz and Happy Anniversary!! 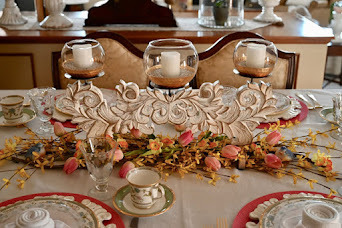 Oh Liz - your tablescape is so beautiful! You really did a great job tying everything together so perfectly! 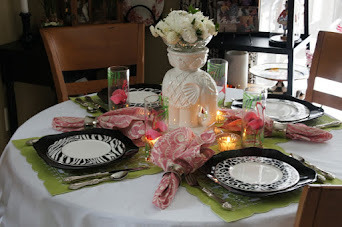 PS- be sure to share this beautiful tablescape with Susan at Between Naps on the Porch for Tablescape Thursday! I bet she'd love to see it join her weekly link party! 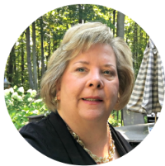 Liz, I love your sweet blue birds tucked in your twiggy nest! I'm always amazed at all the engineering and work that goes into a bird's nest. I love your sunflowers in your cobalt blue vase at your pretty table...Happy Anniversary! Hello Liz, what a wonderful tablescape! So many precious and thoughtful details and the last photo shows how beautiful everything looks together. Visiting from Laura's White Spray Paint blog. Love this Tablescape, it is such a treat to have you here with us today. Great table Liz, loving your adorable little birds and the plate stack you did! 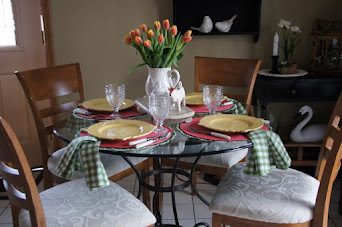 Oh Liz, all your wonderful details, and the magical way you wove the colors throughout your table, it's just delightful! Happy Anniversary! Liz those blue birds are charming! What an absolute delight this post is!!! Thank you so very much for joining the gathering at Thoughts of Home on Thursday. Love this table. It's funny we were thinking along the same lines. I need to post my table. It also has sunflowers with yellow plates and those white chargers. 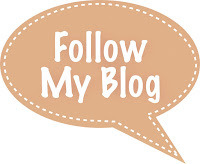 I am using the rooster. Love the sweet little birds. 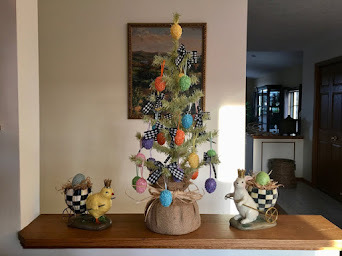 Michele was so generous to send you those birdies. The bird nest is adorable. I love finding those nests. Sometimes they do come back. I also love mixing blue and yellow...makes for a lovely theme. Beautiful table Liz and the little birds from Michele are just darling. I so like your square blue and white plates. Take care. Hi Liz, love this table setting. Cobalt blue with the sunflowers is perfect. I love the blue and the sunflowers. We are branching our farm out into growing cut flowers too and sunflowers are on our list. Now I'm even more excited that I can use them on my table. Your table looks beautiful, Liz. Sunflowers are a favorite - so happy! Enjoy your weekend! Very pretty table Liz. I have those blue salad plates and they are one of my favorites. Love this table Liz. How are the sunflowers holding up? Paul just bought me some more. Happy Sunday and thanks for sharing at DI&DI. Hi Dear Liz! Oh, I love your pretty tablescape! The sunflowers are so pretty and look perfect in the tall blue vase. Your dishes...love them and you know I'm all over those lovely yellow Rooster plates! ;) How sweet of Michele to send you the little birds. What a lovely table. Have a great week and I can't wait to see your gardens this year. Dear Liz, you are quite the hostess! Look at that fabulous tablescape, I love it! Sunflowers always brighten my day and I so enjoy blue and yellow together, perfect and inviting setting! What time is dinner? Love the dishes, Liz. The yellow plates are perfect with the blue...and those sunflowers are stunning!